The Hamilton Beach 10 Speed Blender delivers all the delicious flavors of restaurant smoothies, icy drinks, and milkshakes with the performance you need for consistent results every time. Featuring stainless steel blades, a powerful 550 Watt peak power motor, ten speeds and pulse blending action, this blender is fully equipped to prepare a variety of great-tasting beverages. Ordinary blenders spin contents around the walls of the jar, which can leave whole chunks untouched by the blades. 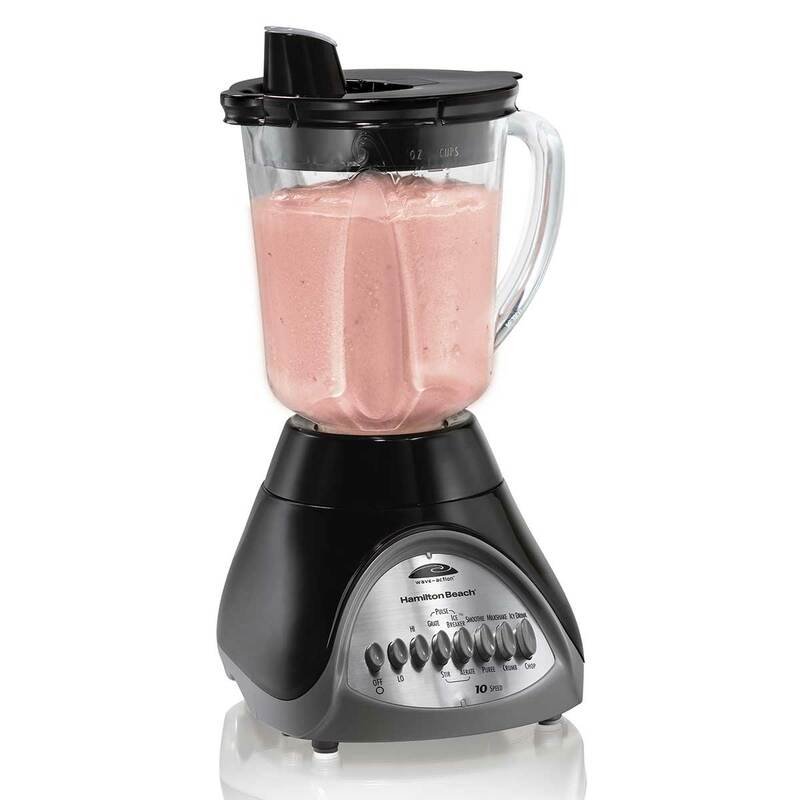 This blender has a unique container and blade system designed to continually force the mixture down into the blades for perfectly smooth results every time. The 40 oz. 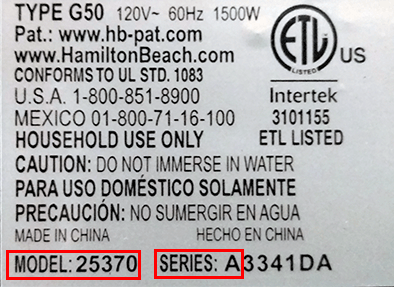 glass jar has easy-to-read measurement marks and can withstand hot soups as well as icy drinks. Clean up is a breeze as the jar easily disassembles and is dishwasher safe. The 40 oz. 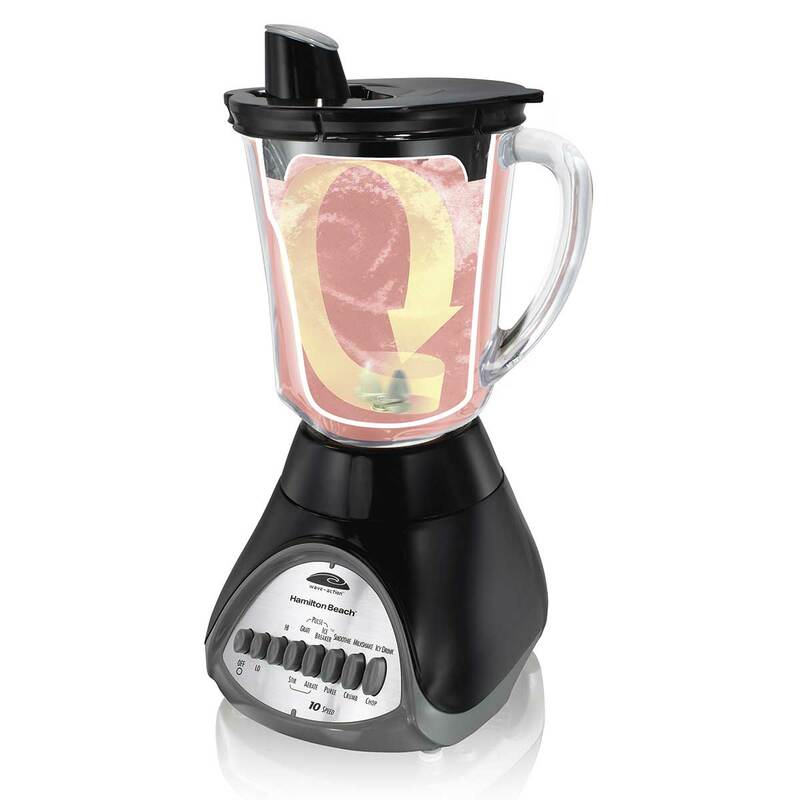 glass jar on this blender offers optimal durability and performance with a comfortable handle for easy serving. Made from Boroclass borosilicate glass, the jar is thermal shock tested to withstand extreme temperature changes. You can take the jar from the hot dishwasher and prepare a frozen drink with no worries. Cleanup is easy as the jar is dishwasher safe. Built to withstand the rigors of crushing ice, this jar will serve up a batch of icy drinks just as easily as a delicate soup. Measure ingredients right into the jar using the filler cap and easy to read measurement marks in four oz. increments. No more ice chunks Nobody likes a smoothie with large pieces of ice or frozen fruit. 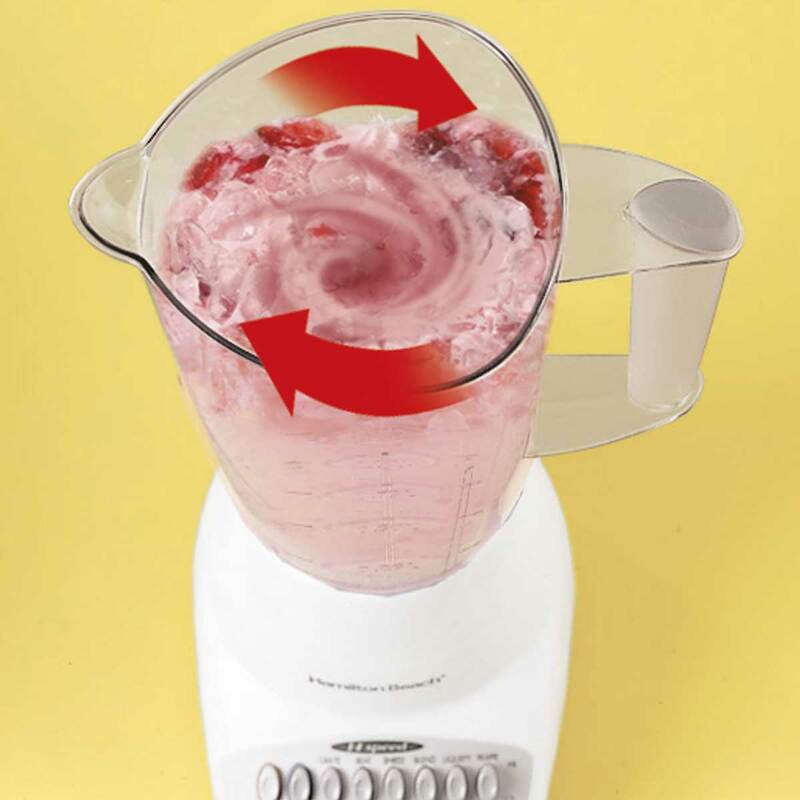 Traditional blenders can leave whole chunks of ice untouched by the blades. The jar and blade were specifically designed to work together to pull mixtures down into the blades for consistent results. 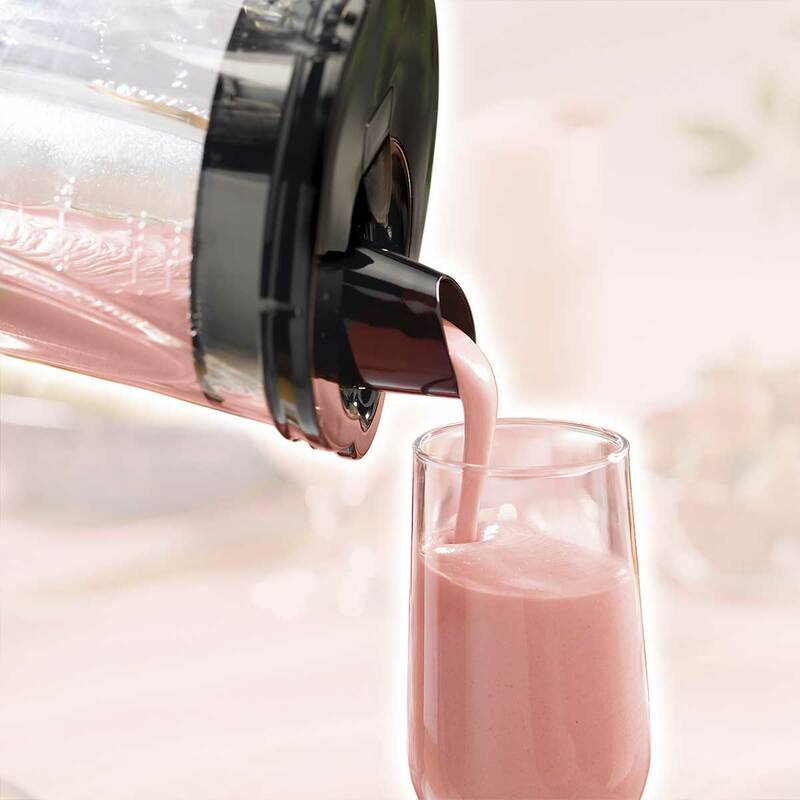 This innovative design lets you prepare icy drinks, smoothies, and milkshakes perfectly smooth every time.